Roll up! Roll up for the Mystery Tour! As of right now, I only have money for tickets from Eric Rauscher, Eugene Baker and me for the USA Canada match on June 21. We only have another week before we have to finalize the block of tickets. Pelicans! This is a rare chance to see the Eagles beat the Moose Excrements in our own back yard. Remember that the Society Annual Banquet is to be held in conjunction with this match as well as a Conference on the Game. If you are interested in going to the match please contact Jim as soon as possible at crenshaw@cal.net. Or even just send him money directly, because that works as well. Tickets are at mid-field and are $40.50 each (a 10% discount). Since we are heading into 7’s season, ref should know that if they are not assigned to a tournament it is probably because it is not sanctioned and as such they have NO insurance and may be liable for any unforeseen issues that may arise. 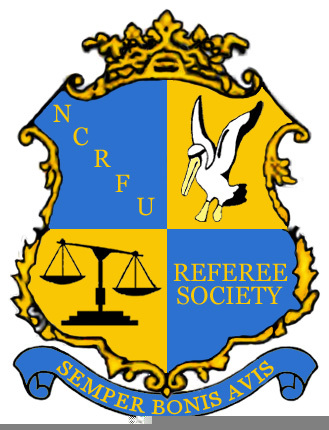 The society can’t tell them not to ref, but they need to be fully aware of their possible exposure. Lawsuits get ugly – especially when you have no insurance. IF YOU ARE NOT THE ASSIGNED REFEREE BUT ARE AN A.R. OR AN EVALUATOR/COACH DO NOT SUBMIT A REPORT. Yes, I know that you get reminders from the system but we can all be big boys and girls and ignore them. Submitting reports as an AR or a coach/assessor throws a left-handed monkey wrench into the works. There will be several situations in the upcoming month when Pelicans will be assigned as ARs for playoff matches so be prepared to ignore the messages and bully the assigned referee into writing a report. To make my life easier as well – because I know you all want to, dear readers – if you have a playoff/tournament match listed as “TBD” please put the team names and scores into the report. Muchas Gracias. What a lovely Saturday to play rugby at Kezar Stadium. Thats right readers RUGBY at Kezar Stadium. Baracus hosted the Capitals from Sacramento on a beautiful day. The field was in great shape, well marked for the most part. The only down side was parking and short end goals. Both teams were out of the playoffs and playing their last league game. Both teams had good numbers warming up when I arrived. This a great game to watch, play in or referee. Clean, hard and obviously competitive. on their penalties. I’d never been asked that before and thought it odd until I watched him play. Baracus scored an early converted try off their first possession. And then controlled 80 percent of the first half ball. quick tap penalty and scored from 60 meters out. He converted the kick to tie the game at 7-7. At thirty-five minutes Mike slotted a penalty kick to finish the first half scoring. Both teams added a penalty kick early in the first half. Sac’s #13 intercepted a Baracus pass and ran 90 meters for a try at 30 minutes. Baracus scored again at 18 minutes to make it Sac 20 Baracus 15. Baracus’s #9 scored a converted try at 35 minutes. Then added another try two minutes later. Sac was not done. Captain Mike took another quick tap which ended in a try at 39 minutes. Sac kept possession through numerous phases but finally lost possession which Baracus quickly kicked out of bounds to end the game. Wow what a fun gameâ€¦did I mention it was at KEZAR. Cal hosted previously unbeaten Central Washington in a Varsity Cup semifinal in front of a capacity crowd at Witter Rugby Field, which included the Pac-12 rugby webcast crew. Cal started with a bang, leading 24-0 after just 15 minutes. CWU held their own in the scrum, but found themselves trailing 48-7 at half because they could not contain Cal’s backs out wide. Neither team played cohesively in the 2nd half, but Cal rested many of their starters towards the end and won comfortably, 8 tries to 2. Cal will have their hands full then they visit arch-rival BYU in the VC Final on May 3. Thanks to Rob Hendrickson and Stephen Kenny for their help as AR’s, Ron DeCausemaker and Tom Wright for their help as #4/5 officials, and Kat Todd for post-match feedback and analysis. This was a more intense match than I imagined, not having seen Berkeley play in many years. There was solid play all around and it was a fast-paced game. Chico wanted the win bad but couldn’t quite get there as Berkeley was able to control the possession for most of the match. There was a bit of controversy over a try attempted by Chico but not awarded after discussion with the touch judge. I hung around to ref a 20 minute B-side match, which was a bit of a disaster – I should have quit while I was ahead! Santa Clara forfeited prior to game start so CSUMB scrimmaged each other. Great game well contested by both sides. EPA won the first half and SR won the second, never backing down under the pressure. Two penalties in overtime led to SR with a kick to go over by one. An EPA player disputed a call so we advanced another 10 meters. The kick was slotted and SR won by a point. Not the friendliest conditions after the match from the home side fans, but the EPA players played well and although disappointed hosted a good game. Thanks to Nome and Tony for ARing. Fresno woke up a bit in the second half and played with a bit more intensity. But, Sacramento had the upper had in talent and tactics. Thanks to Mark and Anthony who used plenty of opportunity to make me look better and to Dave for assessing. And a special thanks on top of that to all three who left a high school tournament that was understaffed on refs to help with this very important D1 Semi-final match. Congratulations to Sacramento and good luck in the final. Also, contratulations are in order for Fresno, who made the semi-final in their first year in the D1 league. That a great accomplishment. A bright sunny day with a modest breeze off the bay. SFGG women batted the visiting Amazons from Sacramento. The game proceeded with gusto from start to finish with a couple of lead changes and the score hovering no more than a try or two in either direction. The game was clean and hard-hitting as Sacramento chose to run crash-ball off the phase play while SFGG passed the ball out to the back-line and out to the wings. It was quite a contrast in styles, with both strategies rewarded with score after score. Sacramento maintained a lead in the last ten minutes and were victorious. Congratulations to both teams for a well-played game with all the qualities expected of play-off match-up. SCU lead 0-3 and St. Mary’s didn’t score for the first 15 minutes, then scoring 105 points in 65 minutes. You get the picture. Great game! Stanford goes on to Final Four with 1 try over Cougar Women (BYU). Cougars didn’t look quite as sharp as they had the night before. Cal pretty handily beats Texas A&M with a much stronger scrum and faster backs. The old guys were fresh out of the gate, rucking well and knowing how to present themselves for an impending tackle. The 2 point lead by the alumni soon gave way to the the much younger squad and their outside game. The rest would be history with explosive runs in the middle as well. A joy to referee — two teams had one loss between them coming into this game. A place in the final 16 for the D2 championship was on the line. And did they both know it. Blackhawks opened up with two quick tries, but the home side gradually began to get into the game after the first 15 minutes, and clawed their way back into it, taking the lead just before halftime. The second half was a bruising affair, but down 3 with 5 minutes to go, the visiting Blackhawks were battering down the door. Vacaville made a fine goalline stand, holding back many, many phases. Finally the visitors span it out wide, where team talisman Sione Latu faced 4 defenders on his own. And scored his 30th try of the season. Big thanks to both teams for the best game I’ve been part of all season. Good luck to Sacramento against Snake River. This entry was posted in News on April 30, 2014 by James Hinkin.